So now that you've taken advantage of all those Black Friday specials and scored a new flat-panel TV, it's time to pair it with some decent speakers. 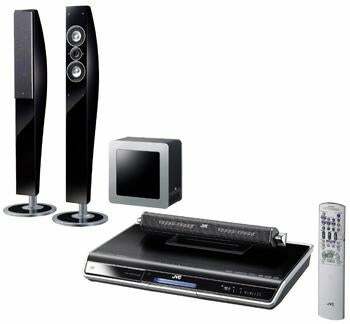 Stepping up to the plate is JVC's Sophisti line, a 3.1 system that cuts back on wires and looks good doing it. 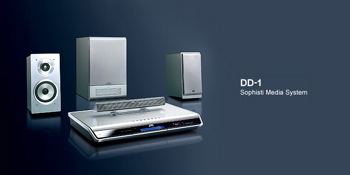 All three models in the Sophisti range (DD-8, DD-3, DD-1) can decode Dolby Digital, DTS, and Pro Logic II, but the DD-8 and DD-3 up the ante by upscaling your DVDs to 720p. 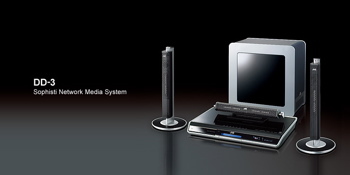 The latter two models can also connect to your computer and wirelessly play back music, video, or photos stored on your hard drive. 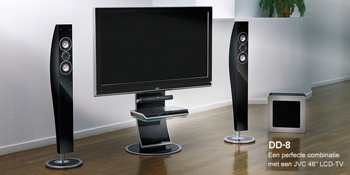 I'm particularly liking the DD-8, which is the only model to include floor-standing speakers. The models are available in the UK starting at $960. Pics of the full range after the jump. A reader sends in this tip about Best Buy&apos;s plans for Black Friday.